This is the same kind of product as our Ultra Enhanced series, but we are changing the name to indicate just how natural these extracts are. No synthetic chemicals, just high purity kratom alkaloids blended with all natural kratom leaf. This is made with alkaloids from a rare True Thai strain. 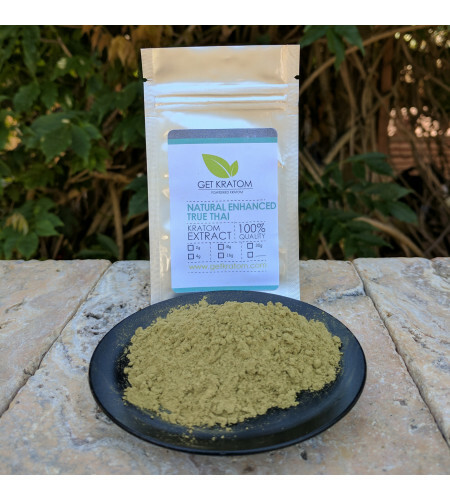 It has a very classic kratom aroma, reminiscent of kratom that was popular about 10 years ago. 30 grams. By buying this product you can collect up to 24 loyalty points. Your cart will total 24 loyalty points that can be converted into a voucher of 4,80 €.